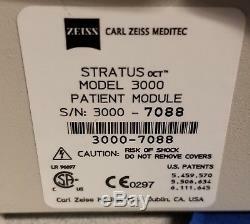 Very nice ZEISS STRATUS OCT 3000 which comes with the power table, computer, user manual and installed 6.0.4 software. 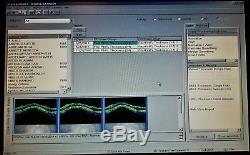 Instrument is loaded with modules for examining and review. Instrument was regularly serviced, maintained and covered. All previous patient data will be wiped completely clean leaving a fresh new database for your patients. Stratus OCT The standard of care system for comprehensive retina and glaucoma management. 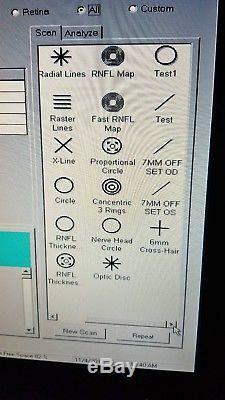 High resolution cross-sectional imaging for the comprehensive management of glaucoma and retinal disease. GPA Advanced Serial Analysis reports statistically significant change and rate of change in RNFL thickness. Most extensive library of clinical studies in the industry and over 8000 systems installed worldwide. 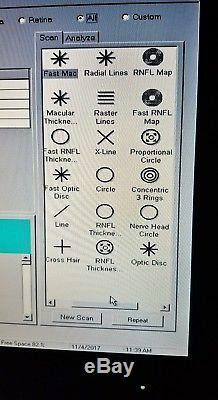 Valuable for pre- and post-op cataract patients to identify and illustrate cause of poor vision. Operate the full analysis capabilities from the lane, your office or a remote location. 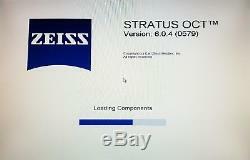 The item "ZEISS STRATUS OCT 3000 With Power Table computer 6.0.4 Software" is in sale since Saturday, November 4, 2017. 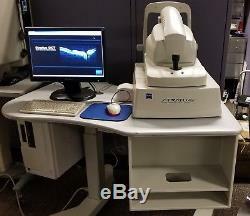 This item is in the category "Business & Industrial\Healthcare, Lab & Dental\Medical & Lab Equipment, Devices\X-Ray Machines & Equipment\Other X-Ray Equipment". 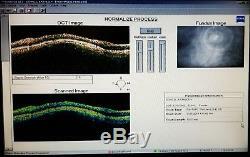 The seller is "phoroptor_tech" and is located in Brentwood, California. This item can be shipped to United States.